stone | . :: Tieris Illia ::. 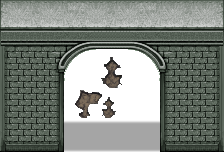 Not sure how this could be of used to you but figured I should just post it anyway :P edited from Mack‘s tilesets. Yanfly being as super-productive as ever has been releasing tons of scripts. Be sure to check Yanfly channel out regularly. Archeia Nessiah made another version of one of the four characters who appeared back on RMVX’s boxart. Check the hunk out! Kread-Ex brought us back some RM2K/RK2K3 functions. Ramiro‘s made a script that allows you to assign battlebacks to terrain tags. Yami shared about how awesome Netbeans could be to scripters. Mitchi.exe has currently got a pretty neat and eye-candy front-view battle system for his previous game on RMVX: Devil Protocol and is looking for opinions on whether he should port them all to RGSS3. Check it out!